The 71st Annual Congress of the Japan Society of Obstetrics and Gynecology (JSOG) will be held from Friday, April 12 to Sunday, April 14, 2019 at the Nagoya Congress Center. I would like to thank the Chairperson of the Executive Board, all board members, and the membership of the JSOG for this opportunity. 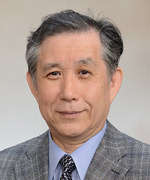 This is the third time the JSOG Annual Congress has come to Nagoya, following the 19th Congress hosted by the late Dr. Naotaka Ishizuka in 1967 and the 47th hosted by Dr. Yutaka Tomoda in 1995, 24 years ago. In all three cases, they have approximately coincided with the holding of the General Assembly of the Japan Medical Congress in Nagoya. Although the venue is not directly connected to the station, we are arranging shuttle buses to bring participants from Nagoya Station. When the 19th Congress was held I was still in elementary school, but I was involved with the running of the 47th Congress as a member of the host institution. Since then, the Congress has undergone a major transformation. The number of participants has risen from 4,500 to 7,500–8,000, and the budget has more than doubled. The content has also evolved from mainly academic presentations by hospital doctors to include a large number of clinical training programs, including those for residents as well as doctors continuing their education. Globalization is another feature, and this Congress will also include Joint Conference JSOG-DGGG, AOFOG Symposium, and international sessions, with around one third of presentations by Japanese presenters also given in English. Symposia have traditionally been emphasized as the crowning glory of the Congress. The 47th Congress included only a single symposium, but at one point the number increased to four, and the next Congress will include two. Although audience interest is shifting from basic research to clinical (educational) topics, I hope many young obstetricians and gynecologists will attend these symposia. Basic research is vital, and provides the logic on which clinical research is built. The main theme of this Congress, "Searching for Truth," encapsulates this message to younger doctors. It is my hope that when considering the future of medicine, they will lean not on experience-based medicine but on truth, which is the essential quality of clinical trials. Although most submissions will be given as poster presentations, the top 10% of submissions that are given the highest scores by three referees can be accepted as oral presentations. The JSOG Congress Award, JSOG Congress Award (Japanese Session) and the Congress Encouragement Award are among the measures offered to help motivate young doctors. As well as an academic meeting, the Annual Congress also offers the opportunity to mingle with people you would otherwise not have the chance to meet. Nagoya and its environs are noted for their gourmet food. In addition to the reception, we are planning a daily-changing menu of local dishes for you to enjoy. Please do take this opportunity to come and attend the Annual Congress for its welcome return to Nagoya.